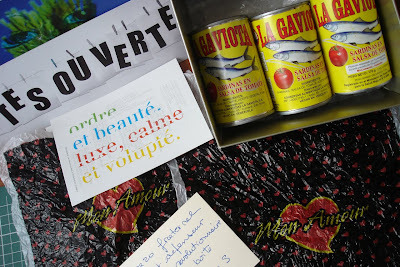 I received 3 nice sardine cans from a Venezuelian fellow and green (or red) world activist. I am an American ex-Pat married to a lovely Venezolana and live/work in Venezuela and we eat a lot of sardines. My wife makes a killer sardine and rice soup that is one of my favorite dishes. I avoid buying stuff from the government here. I don't buy into the "revolution". Its totally BS and somebody is always getting some big kickback from it...even from these sardines. The fishermen probably make expenses and little else. More than likely some red shirted jerk is a making a killing in the cannery, transportation, or somewhere else in the chain. Don't buy into this revolution. It is totally bogus. 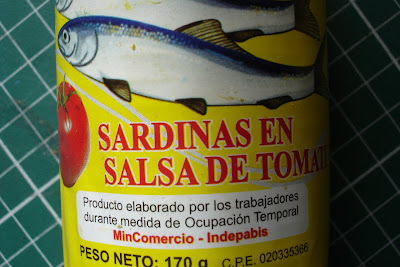 Those sardines aren't "red," they're Bolivarian. What is the significance of EAT MORE KALE.com? Kind of funny. The significance is only to eat more kale – preferably of the Portuguese Couve Galega variety.